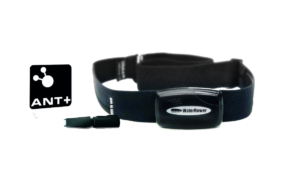 For full Heart Rate Monitor instructions, please see the Heart Rate Monitor Manual. This manual will include instructions on installing the Polar, ANT+ Internal, and ANT+ External Heart Rate Monitors. Make sure that the transmitter contacts on the chest belt have been moistened. Be sure to wear the chest belt centrally on the torso, just below the chest, adjacent to the heart. Please check the chest belt battery and make sure it has power, if not, please replace the battery. Test the same PCB receiver with another ANT+ transmitter, if it still has a problem, then the chest belt is ok. If the problem is resolved, then the chest belt has a problem and will need to be returned to us for repair or replacement if its within warranty. For this, please contact us at [email protected] or give us a call at 800-852-2210. If you have an internal heart rate receiver, please ensure that the wires are all properly connected. To do this, you will have to remove the monitor board. If you have an external receiver, please ensure that the receiver is pushed in all the way. Please check if there is any other 2.4G products, or heavy electronic system to interfere with the PCB receiver. If so, please move to another place for testing. Replace the PCB receiver with a new one (inquire with our Support team) and check if there is the same signal problem. If so, please send the PCB receiver back to us for repair or replacement if it is still under warranty.